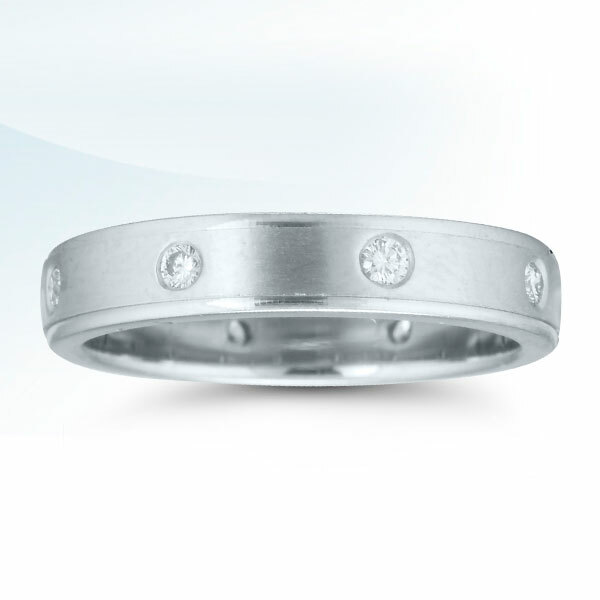 Novell ladies diamond wedding band style LD00116 is pictured with approximately 1/6 carats of diamonds. Almost all Novell engagement rings and ladies’ wedding bands can be made in platinum, palladium, gold and Argentium Silver. Novell bridal jewelry is handcrafted in America. Typical orders take ten working days.